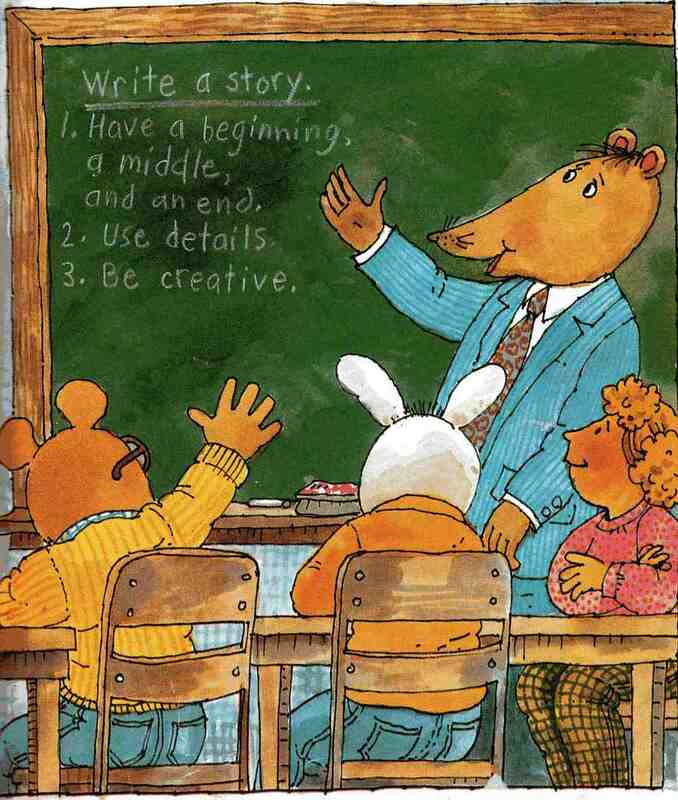 My three-year-old has recently become a big fan of Marc Brown's Arthur books and cartoons (still don't know what animal Arthur is...mouse? some other rodent? ), and so when we went to the library last week, we grabbed a few we hadn't read yet. Lo and behold the very first page of one of the books reveals all you ever need to know about writing just about anything.